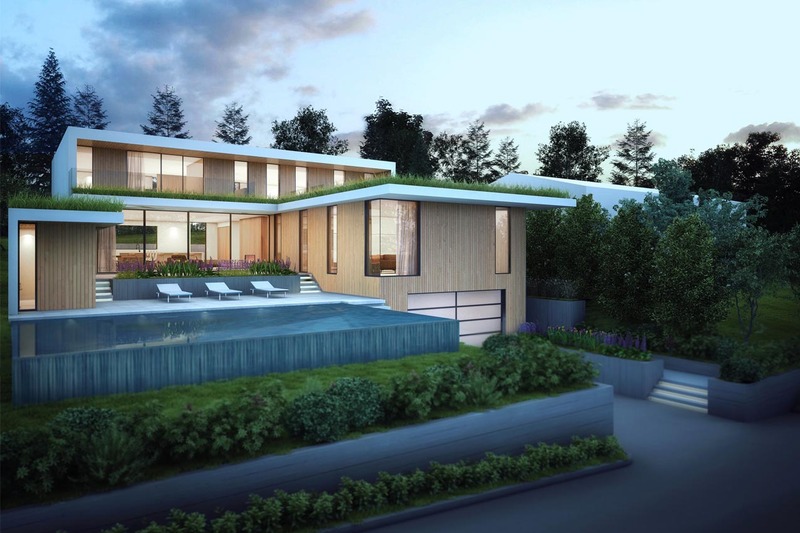 Justin was the lead design Architect for this project, in collaboration with Marken Design + Consult. 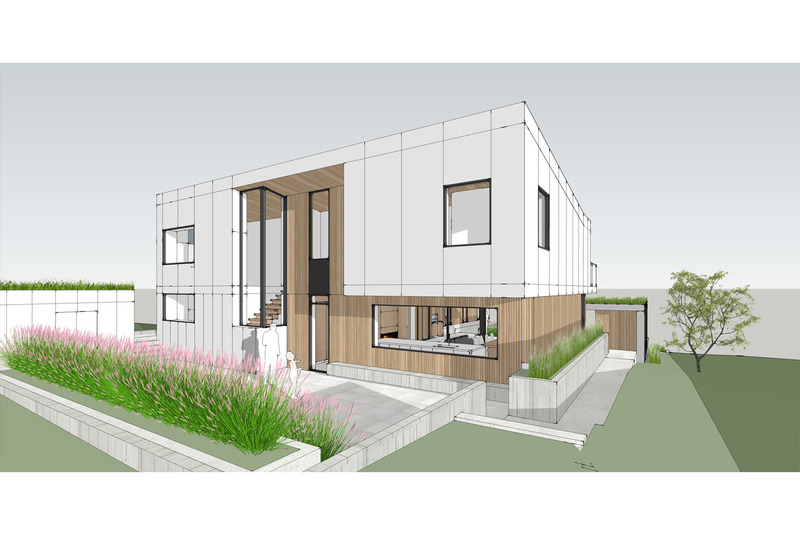 This west coast modern passive house surrounds and frames a south-facing courtyard garden by way of large sliding patio doors and carefully located windows that create an intimate relationship between interior and exterior spaces. Natural resources are harvested and utilized throughout the building in various ways. Solar panels located on the upper roof will harvest solar energy for use throughout the year. 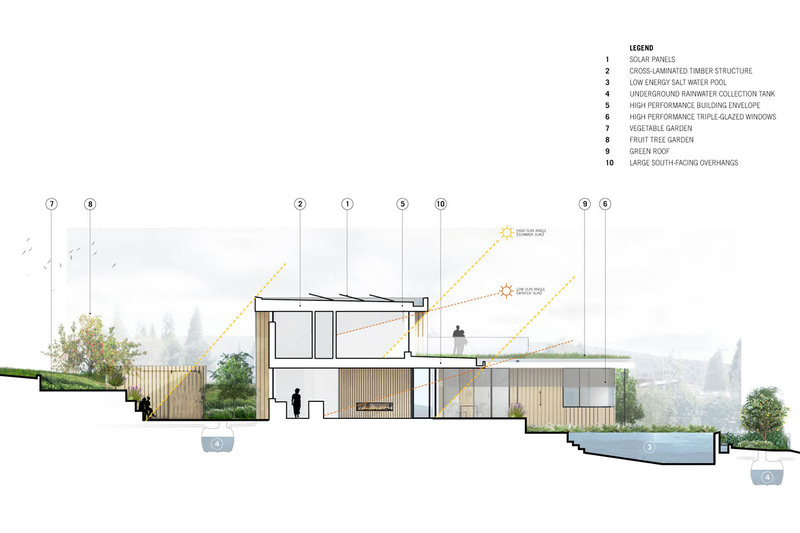 An expansive green roof enhances the roof's thermal performance and utilizes rainwater before finding its way to underground rainwater collection tanks used for site irrigation and cleaning. 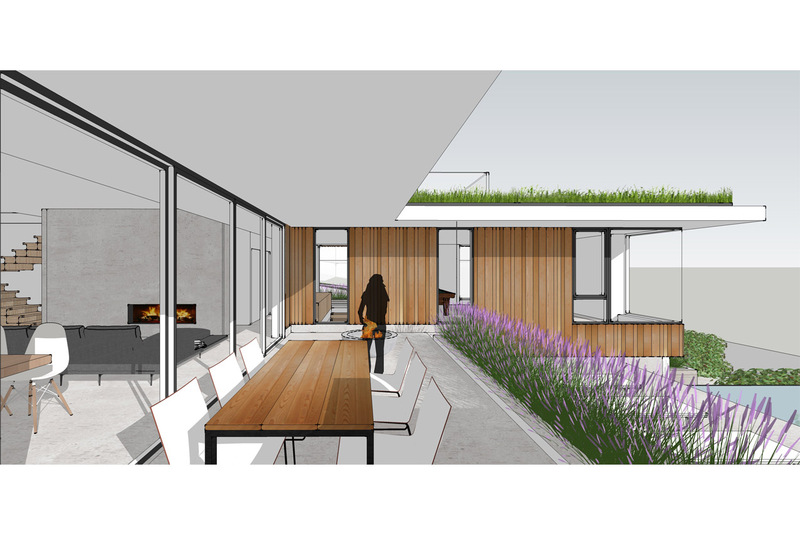 A locally-sourced cross-laminated timber (CLT) structural system is featured throughout the house interior.